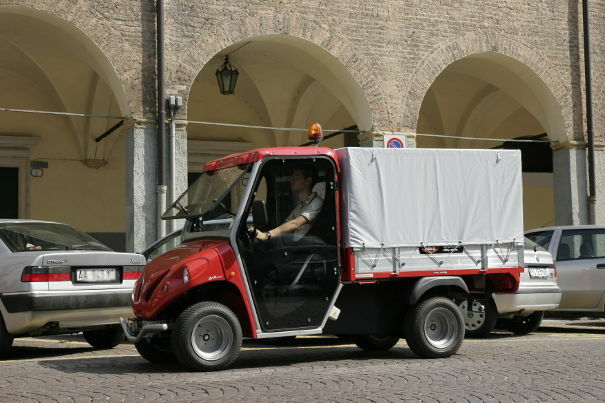 Electric Vehicles with body tarp for freight transport. 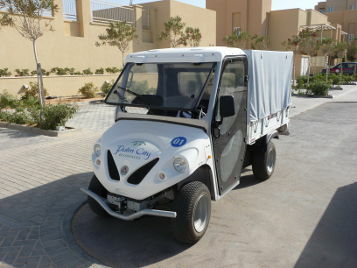 Alke vans with body tarp, fully electric, are expressly designed to meet delivery service needs, even delicate materials. Why choose an Alke vehicle with body tarp? ATX vehicles with body tarp are therefore the ideal meass of transport for all kind of goods in the stations, hypermarkets, hospitals, construction sites, downtown. 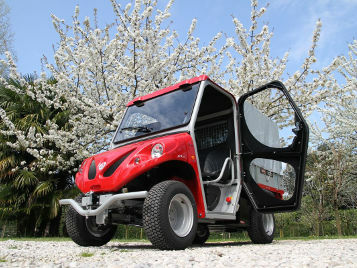 ATX are equipped with rib, that can be opened in the three sides to falicilitate goods loading. 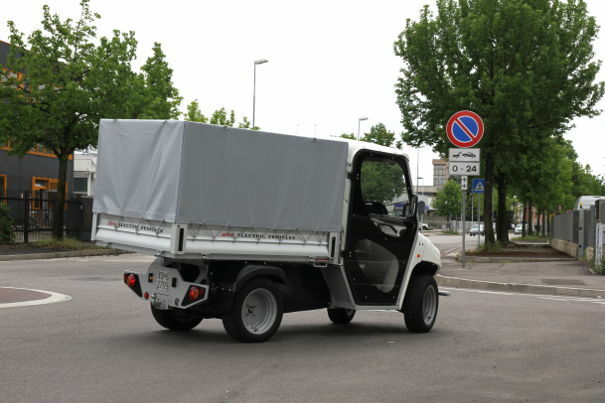 Entirely made in Italy, with Europen road omologation, our Alke electric vehicles with body tarp are approved as a heavy L7e for the transport of good. They can circulate without any restrictions both indooors (warehouses, factories,stations driveways,etc...) and outside on the public road ( goods delivery to shops, freight trasnport by couriers, etc...). Alkè has designed a special protective steel for the cabin and cargo area to ensure a maximum security, it can repair the driver from possible falls and load imbalance. 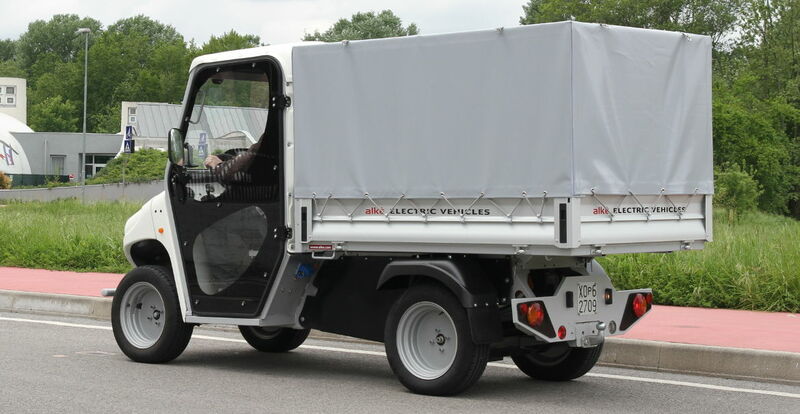 Alké Vans with body tarp are fully electric with zero emission , furthemore they are very silent and fully in accordance with the reduction of noise polluton in urban areas. Thanks to these important characteristic have free access to limited traffic zone, downtown , pedestrian and residential areas; they also allow users in carrying out various task and operation, without disturbing residents. 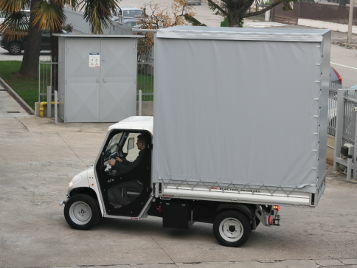 With it compact dimension, just 127cm size, electric vehicles with body tarp have the opprtunity to circulate even in narrow places and dropes sides facilitate good loading. Alke always tries always to meet customer needs, for this reason it's possible to study a custom rib, both in a graphic level and size.